Donate to the Friends’ “100 TREES FOR 100 YEARS” project! He even covered Claudia Schattman’s magnificent artwork, where donors’ names will be placed! When Hurricanes Irene and Sandy swept through Connecticut, Sherwood Island lost dozens of mature trees and suffered significant habitat loss. We still have much work to do to restore plantings that will be resilient against future storms. We need your help to purchase trees, shrubs and grasses. Download the FOSI Tree Brochure here! Hurricanes Irene and Sandy swept through the CT coastline and Sherwood Island was not immune to their effects. Due to the major habitat and mature tree loss 100 trees, shrubs and grasses are being planted throughout the Park. Trees and shrubs will be selected based on professional urban forester recommendations for salt tolerance and ability to thrive in the coastal environment. Park personnel will manage the planting process, and funds will be allocated for plant maintenance. 9/11 Memorial – Planting plans are complete to replace lost trees and enhance the Memorial. Work began in fall 2015, and plans include planting juniper trees and northern bayberries. 1 – Pavilion Picnic Area: Small flowering trees and shrubs will be included in the area surrounding the newly renovated pavilion. 2 – Main Entrance and Exit: Welcome visitors to the park with native grasses and trees. 3 – Nature Center: Specimen plantings at the Nature Center and for the nature trails program will foster awareness of wildlife habitat needs. 4 – Habitat Conservation and Restorations: Planting of shrubs and beneficial grasses and dune restoration. Our Park Supervisor and DEEP staff are involved and have volunteered their professional expertise for this effort. Donate: Make a donation of any amount to support the project. Your donation will cover planting materials and maintenance. Celebration Trees: Sponsor a tree or shrubs to honor a loved one, an event or accomplishment, or recognize someone special. Sponsorships range from $100 to $1,000. Commemorative Piece: Dedications will be installed at the Pavilion listing the names of the Tree sponsors and planting locations; donor acknowledgement will be provided to all donors. 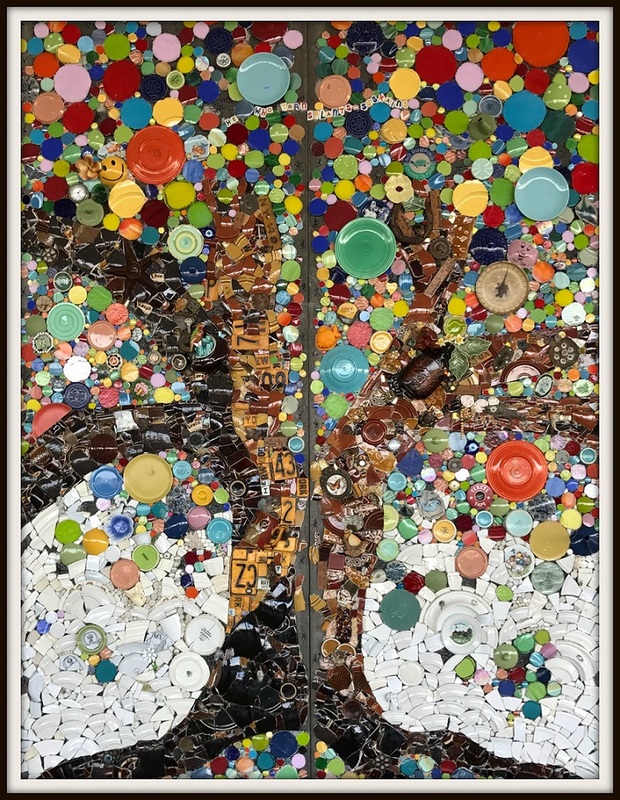 All donations $100 and above will be recognized on the wood frame of the Tree Mosaic. The frame will be composed of pieces of wood in the shape of circles or rectangles. Donations of $100 – $274 will be with other names in a circle. Donations of $275 and above will have their own circle. Donations of $500 and above will have their own rectangle. The 100 Trees for One Hundred Years Project is sponsored by the Friends of Sherwood Island State Park, Inc., a 501(c)(3) organization. All plantings become the property of the state, and donations will be tax deductible to the extent permitted by law.